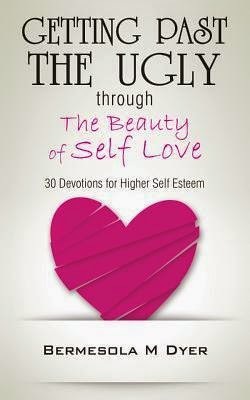 Getting Past The Ugly through The Beauty of Self Love invites you to take a 30-day journey to renewed inner strength and self-discovery. In a world with unrealistic expectations it's no wonder so many young women experience feelings of inadequacy and struggle to find their self worth. From binge eating, anorexia, fad diets, plastic surgery and volatile relationships, countless women are yearning to look and play the part of beauty. But what is the true definition of beauty and what are we losing in the quest to obtain it? Is it our integrity? Our identity? Our values? Our worth? This voyage will encourage you to challenge societal norms and offers a renewed outlook on God's definition of beauty. Getting Past The Ugly is for any woman struggling with self-esteem, self-acceptance or feelings of insecurity. Here you will find practical solutions to transform your self-perception and redefine beauty on your own terms based on the Word of God. Getting Past The Ugly offers 30 daily devotions sprinkled with words of wisdom, Biblical references, inspirational quotes, poems, affirmations and daily action steps to inspire you during this transformational process. Throughout this journey you will be encouraged in your lonely hours and empowered to walk in the calling God has for your life. Allow yourself to be the beautiful woman you were meant to be and walk in your purpose as you experience The Beauty of Self Love! This book came at a time in my life when I needed it more than even I realized. God sure knows what He's doing! Once I started reading it, I immediately got myself a journal to write in. We all know beauty as defined by the world is often unrealistic. Thankfully that's not how God defines beauty! With this book, Bermesola explains how God sees us. This book was truly such a breath of fresh air. I felt as if throughout the book, she was speaking directly to me and my issues. She gives such practical ways you can increase your self-esteem. She encourages you to discover your strengths and to hold onto your dreams. I would definitely recommend this book to all women! I received a free copy of this book for review. This review is my honest opinion.